5. 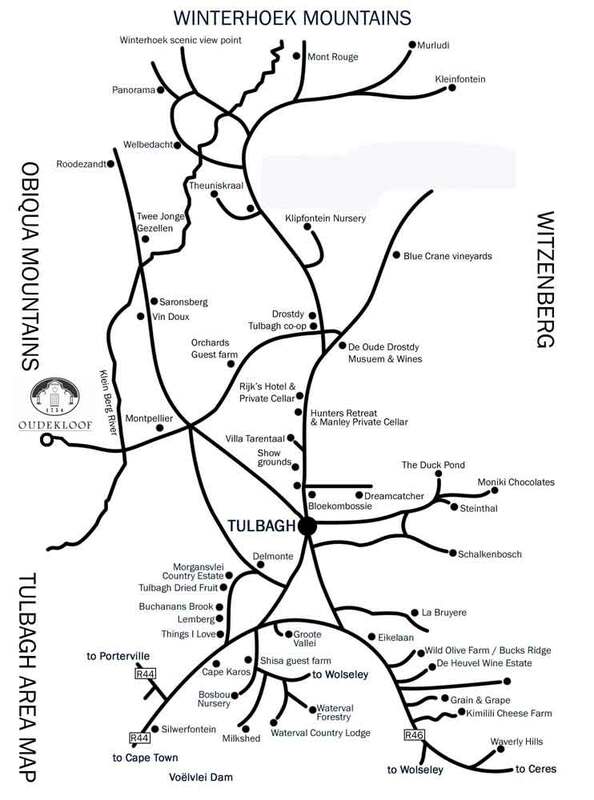 Follow the signs for Tulbagh into the village. 9. You will pass Montpellier farm on your right. Continue on for another 300m until you come to a small river. Cross the river and continue straight another 4 km. 10.You will see Oudekloof on the mountainside to your right. 11.Continue through the gate and follow the drive to the residence.